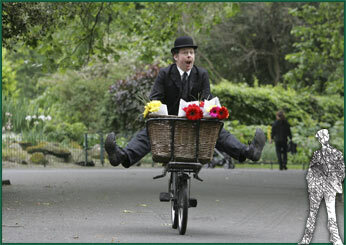 In a city celebrated for its great writers, no event encapsulates that literary legacy more succinctly than Bloomsday. This inspired anniversary recreates the day on which the action of James Joyce’s novel Ulysses takes place, 16 June 1904 - also the day Joyce first went out with his future wife, Nora Barnacle. 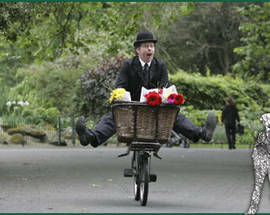 The day is named after Leopold Bloom, the central character in Ulysses. The novel follows the life and thoughts of Leopold Bloom and a host of other characters - real and fictional - from 08:00 on 16 June through to the early hours of the following morning. One of the earliest Bloomsday celebrations was a Ulysses lunch in France, organised by Sylvia Beach, publisher of Ulysses, and her partner, Adrienne Monnier, in June 1929. 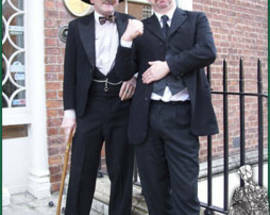 The first Bloomsday celebrated in Ireland was in 1954, the 50th anniversary of the original Bloomsday, when the writers Patrick Kavanagh and Flann O’Brien visited locations like the Martello Tower at Sandycove, Davy Byrne’s pub, and 7 Eccles Street, the fictional home of Leopold and his wife Molly, reading parts of Ulysses and drinking a great deal as they went! Today, Bloomsday is celebrated by Joyceans across the globe with readings, performances, re-enactments, and a host of other events. In Dublin, enthusiasts dress in Edwardian costume and gather during the day at many of the locations where episodes of Ulysses take place. 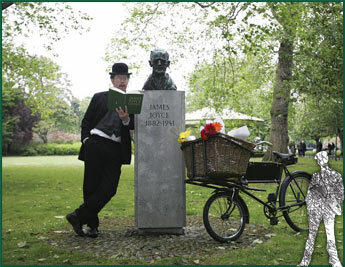 The James Joyce Centre, 35 North Great George’s St, hosts its famous Bloomsday Breakfast as part of the festival. 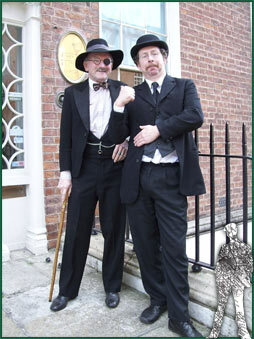 The Bloomsday Festival runs over a week in June with events including walking tours, readings, lectures and music. Literary neophytes to sophisticated Joyceans rejoice! 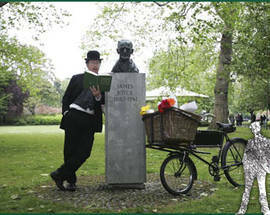 For more info, and to find out how you can become a part of Dublin's Bloomsday, visit www.jamesjoyce.ie or tel. (+00) 353 1 878 8547.